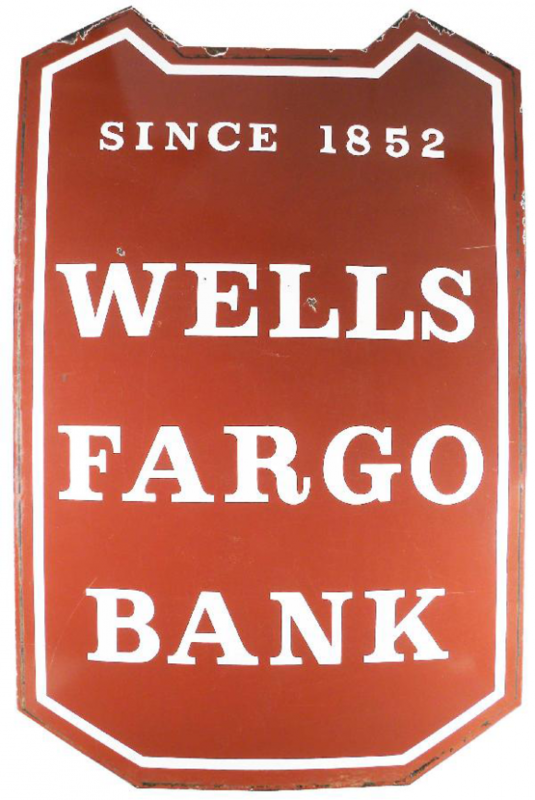 This is a die-cut Wells Fargo Bank porcelain sign. This particular Wells Fargo Bank sign is red with white text. It reads, “Since 1852, Wells Fargo Bank” and features a thin white border.